We continue to suffer from poor battery life on the Android smartphones, but it can be improved. In this article let me share with you some of the best tips, I have learned over the years. This brief guide helps you maximize the battery life irrespective of the smartphone brand you are using. It works for all Android Phone brands – Xiaomi, Micromax, Lava, Xolo, Intex or Samsung, HTC, or Asus. However, the best way is to buy a phone that comes with a large battery. Can read (Best Phones with Longest Battery Life). But don’t despair, we are here to help you if you already have a phone with miserable battery life. 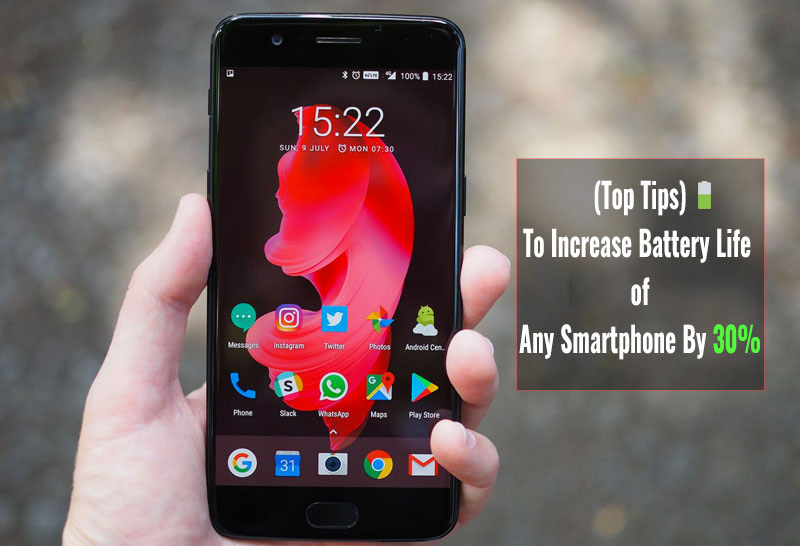 Although Google has optimized the settings for increasing the battery life on the Android Marshmallow, Nougat, and Oreo, these tips will help you save more battery irrespective of the OS version. With this guide, you will effertlessly be able to at least increase the battery life upto 30% or more, need to just follow instructions as guided below. 1. Location and Maps: For starters, make sure your maps and other Apps are not using the location as this is the biggest drainer of all. The GPS trying to triangulate your position can eat up battery as fast as playing games. Switch off location and close the Maps App after you have used it, to save battery. 2. App Monitor and Battery History – Jump to the setting and see which Apps are eating the most battery on your phone, it is good to know this and will help you pinpoint the rogue App. 3. Display Settings – Furthermore, the display is the biggest battery hog irrespective of OS. To reduce the display power consumption, set a new black color wallpaper for Home & Lock screen. Next, turn the brightness to low or as per your preference and turn auto brightness off. 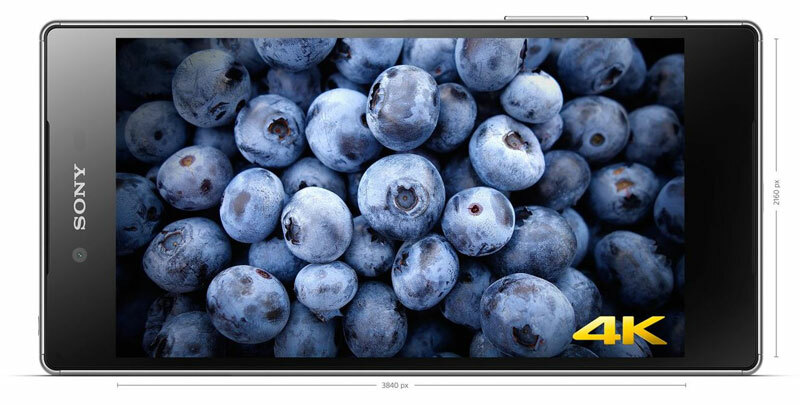 Can Lower the Resolution – In case you have a Quad-HD Display or 4K display smartphone, and there is an option provided by the brand to lower the display resolution. You can do this in case your battery drain is too high due to a higher resolution display. Additionally, in the display settings, you can set the screen timeout as low as required. This will turn off the mobile screen when not in use. I have set 30 seconds on mine. You can use the auto brightness feature, but better use the manual and set brightness to 30% to extend battery life. Adaptive Brightness Feature – In case your smartphone has adaptive brightness feature, you can turn it on. It will adjust the screen brightness according to ambient light, and will also save your battery from draining fast. 4. Hotword – Furthermore, Turn off “OK Google” Hotword Detection – Turning off Google now’s hot word detection can improve your battery life since it prevents the device from consuming more battery by always listening for voice commands. 5. Inbuilt Battery Saver or Power Saving Mode – Enable the inbuilt battery saving features when your phone is below 30%. If you are running out of battery, you can get extra time by enabling Android’s new battery saving functionality. Google claims that this feature will extend the battery life by 90 minutes. You can put the phone in battery saver mode by going into settings when you are left with 25-30% battery. To enable the battery saver to go to settings, tap on the battery icon, and then select Battery Saver. 6. Wifi Settings – Turn off Wifi – Goto WiFi – ADVANCED: Turn off “Notify when network available” – Change “Keep Wi-Fi on during sleep” to never. Essentially it should be off unless you are using Wifi. 7. Sounds and Vibrations: Furthermore, Turn vibration level sliders to a minimum or Off. Turn off “lock screen sounds,” “haptic feedback” & “keypress sounds”. These require a tiny motor to rotate to create the vibration effect that eats up battery. I usually keep them off. Turn off all keyboard sound and vibrations. 8. Motion: Everything should be off they are big drainer due to sensor battery consumption. 9 Data Usage – Also, keep mobile data usage off, in case you are not using it, as the background processes keep using the data and drain the battery. 10. Accounts Setting: If you are using various accounts like Google drive, email – Gmail, office email, Dropbox, etc. Switch the Accounts Sync state to off or manual or set to 4 hours or more. 11. Apps Settings – Notably, for Apps like Facebook, Google+ and Twitter, turn off syncs & notifications otherwise just bookmark the site and use them from the site instead of using the App. Moreover, you can disable the App you don’t use, in the settings. Also, keep the apps that you are frequently using. Remove the obsolete Apps that you use at once a month. More Apps lead to more open processes and more battery consumption. 12. Auto Rotate can be turned off to save a little more juice. 13. Network 4G Vs 3G Vs 2G – Choose 2G network in case you are not using the data; the 3G and 4G networks usually eat up much more battery life due to signal strength issues, as your phone continuously hunts for a strong signal. 14. Clean Master – This is an easy one – Install the Clean Master App from the Android Play store it is a very useful App to help you in the terrible battery situation. The Clean Master App can help you remove the junk files, free up ram and also monitors the Apps. 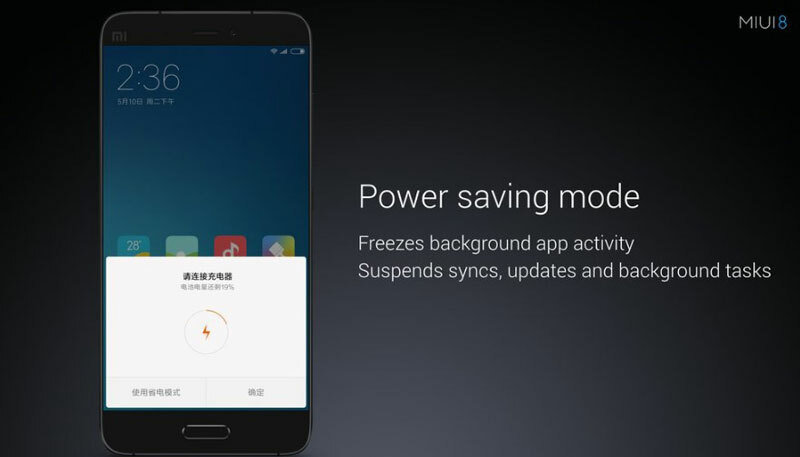 It automatically hibernates rogue Apps to save more battery life. You can keep this app for some days and then remove it, after the clean-up. 15. Factory reset – Hmm the last terrible step is for those who have messed with the phone too much. If you have installed a lot of Apps and your phone has become very slow over a period. Or you think it is infected with some virus; it is time for a deep clean up. A factory reset may solve your battery drain issue as it removes any residual files or software related problems that may have cropped up. Make sure, you take a back up before doing a factory reset. When to Visit the Service Center for Battery Issues? If the above tips don’t solve or reduce your battery drain issue, it is time to pack your bags and ride your bike to the service center. And to have a friendly chat with the service executive of your phone brand, to solve your problem. How long does Smartphone Batteries Work and When to Replace it? Based on the experience, the mobile battery life starts to decrease after 1 year or 300 to 400 recharge cycles. Moreover, after 1.5 to 2 years the battery stops retaining the amount of charge it used to when the phone was new. It is time to replace that old battery and invest in a new one. If your smartphone has root access, then you can use Greenify App and Better battery stats to improve the battery life even further. Although what I have mentioned above is more than enough to at least stretch your battery life by 30% or more. If you have any tips that did wonders for you, please share in comments. I will add to the list for greater good. But there are some issues with clean master. It also kills the main file of the apps which are very useful. So should it safe to install cleanmaster app.